An elegant and refined music center, The Ontrek Muse will delight your most sophisticated guests. High quality wood finish, stereo speakers and a soft-touch menu panel all represented in this best-in-class guestroom amenity. The Muse features both NFC and Bluetooth connectivity for music streaming and two additional USB ports for charging guest devices. 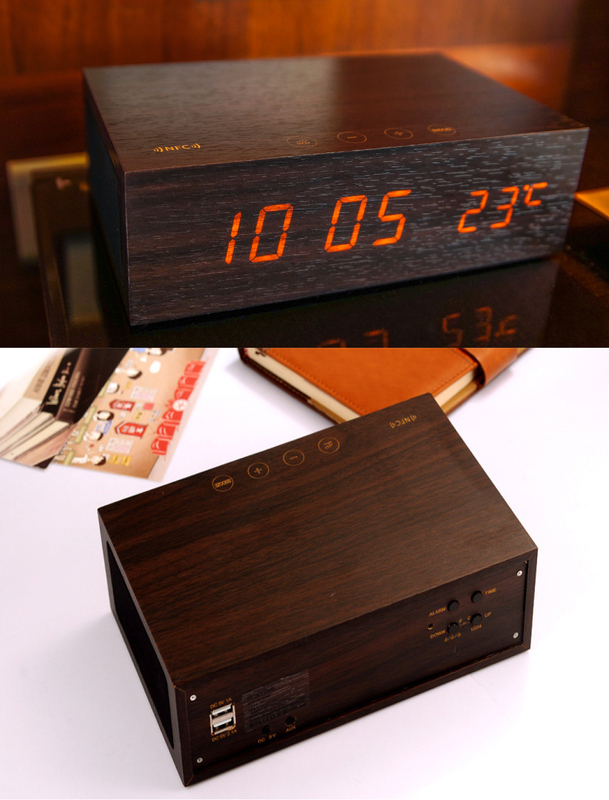 Automatic mood lighting LED, with time and temperature display and alarm clock function round off the Muse’s many features. LED Display with Light Sensor.